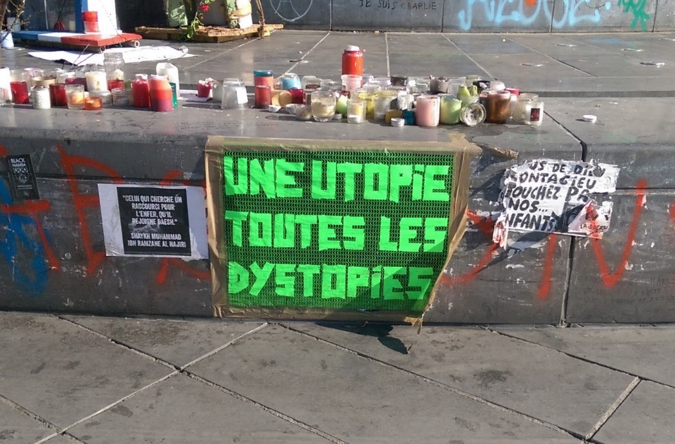 “one utopia, all dystopia” says a poster hang Place de le République, Paris, April 2015. Why do so many artists and even brands communicate dystopia nowadays? I’ve asked myself this question for a few months as there are so many manifestations of the fear of the future. Of course, there are many reasons for people to be afraid of what’s next. The attacks in Belgium, France, USA, Lebanon, Nigeria and those so frequent that happen in Irak and Syria are terrifying and bloodcurdling. As a Parisian I can testify that one of the questions that I heard the most back in November 2015, right after the attacks was “In what kind of world are our children going to live in?” Many parents wonder… the future seems uncertain and frightening. Now it’s the election of the next USA president that seems to crystallize around. Is there a chance that Donald Trump is elected as the next president? Is it going to be really bad? There are many reasons to worry, unfortunately. This was shown by Pew Research Center in a paper published in July 2015. Main reasons to be afraid of the future are : the global climate change, the global economy instability and ISIS… Any psychologist would acknowledge this : people are afraid of things they don’t have command of. When you know you can’t influence a problem or solve an issue, when it’s in other people’s hands, it becomes dreadful. 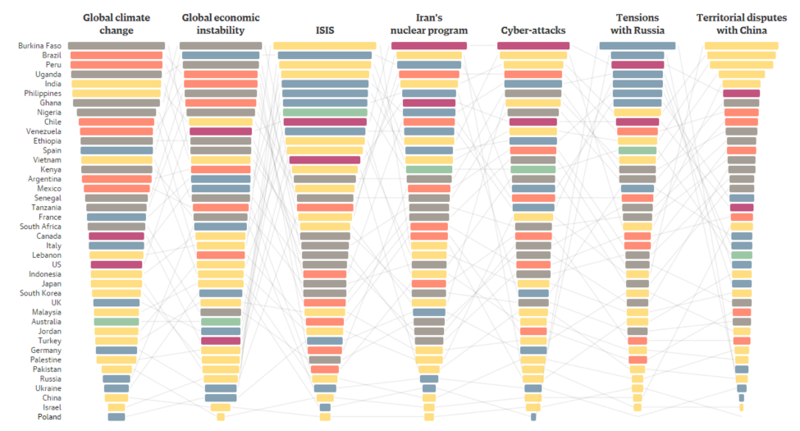 To look at the Global threat interactive follow this link: What’s the world scared of? 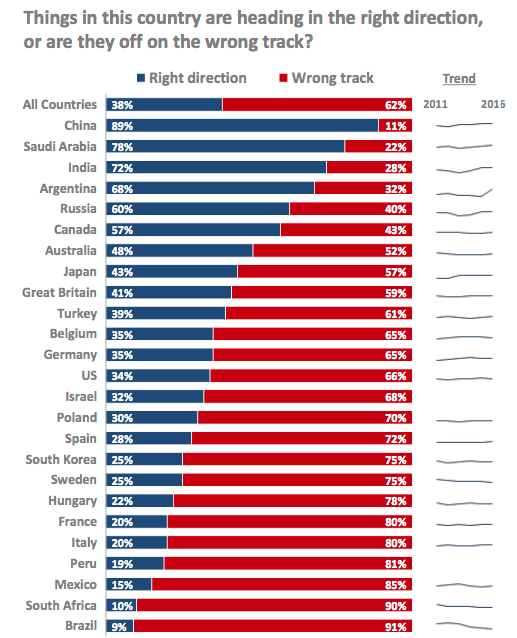 The French market research company Ipsos asked citizens of about 50 countries if they think their country is going in the right or wrong direction. The results are edifying. Only four out of ten respondents say things in their country are going in the right track. Every day brings bad news. And although we all know it’s bad for us, we keep watching the news and we are glued to screens. Yes, it leads to fear and it hinders our creativity and optimism and, giving up reading will make you happier. So here comes the big word…dystopia. Wikipedia says: A dystopia (from the Greek δυσ- and τόπος, alternatively, cacotopia, kakotopia, or simply anti-utopia) is a community or society that is undesirable or frightening is everywhere. Artists, who are the minds and hearts of societies echo this concern and show us a world that has evolved… in the bad sense. A very famous one is Nineteen eighty-four from George Orwell. Published in 1949, the action takes place in a near future, (35 years ahead) and describes a world where a leader called Big Brother has all the powers. Big Brother controls everything, distorts history and force everyone to work blindly for something they never get to experience. Michel Houellebecq in his novel Submission, which was released on the exact same day as the Charlie Hebdo terror attacks, depicts a French society in which French culture has totally disappeared. Universities are handled by Islamic extremism, all women are veiled, men have several spouses and despicable crimes take place every day. The novel is brilliant and actually credible. Ibrahim Maalouf, another French artist, released in December 2015 a very powerful music video that takes place in 2025. The video tells the story of a country, France, where a curfew is in place and “social interaction between native French and immigrant are illegal.” It then shows a secret society ran by women where people are actually able to gather, dance, play music and be together. But this is an illegal and secret activity. 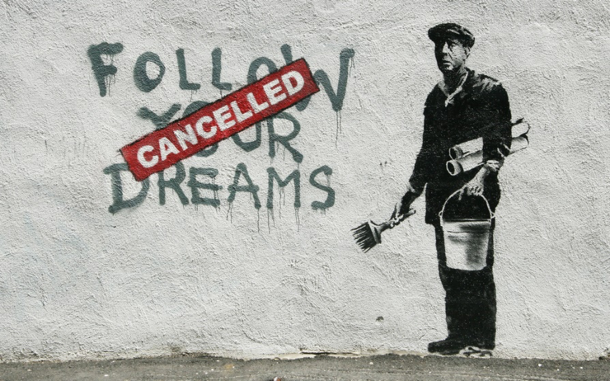 Banksy is famous for his criticism of what humans are famous for: wars, child labor but also consumerism, phone addictions and celebrity culture. When embracing the theme of the future, he’s not very optimistic. There are so many dystopian TV series that they be noticed by the public. Showing wrecked worlds and destroyed people is their hallmark. To name a few: Under the Dome, The Walking Dead, Falling Skies. All of them take place in a world where zombies or aliens drive the world or where every nature has been destroyed. Showing an ugly future has always been a way to attract audiences and get talked about. Movies such as The Terminator, Blade Runner and more recently The Hunger Games. They are movies that show a future that’s far from being desirable ; but they are Science-fiction movies. We can name Wall-E and Idiocracy, a movie that takes place in five centuries where everyone got really dumb because of too much TV and too much food consumption. Video game players are huge fan of post-apocalyptic settings. Collapse : the end of society simulator is one example out of many. Naturally, when consumers have shown their fear, terror and hopes, brands create content accordingly for resonance. Among them, Adidas wants to appeal to people who are not followers but who set their own rules. By doing this they show a future with no hope. In a very viral video, released in 2013, Chipotle shows a society where nature has disappeared. A scarecrow, the protagonist of the ad, works at the « smoke-spewing » Crow Foods Incorporated. Everything is fake and the food created there is everything but natural. Cows are captive, chicken are injected with fluids to gain weight and people are distributed food directly out of the plant, through a machine. The film ends with the scarecrow making his own food, naturally grown in his garden and sell it under a banner that reads: »Cultivate for a better world”. Unilever is very good at championing sustainability. They’ve launched a video in 2015 in which they bring to life the hypothesis that : “A tree might be safer in the city than in the rain forest.” The video depicts a tree that walks and leaves the forest to come to the city in order to request help from human beings. The video is called “Farewell to the Forest”. Still, Chipotle and Adidas examples are a bit rare. 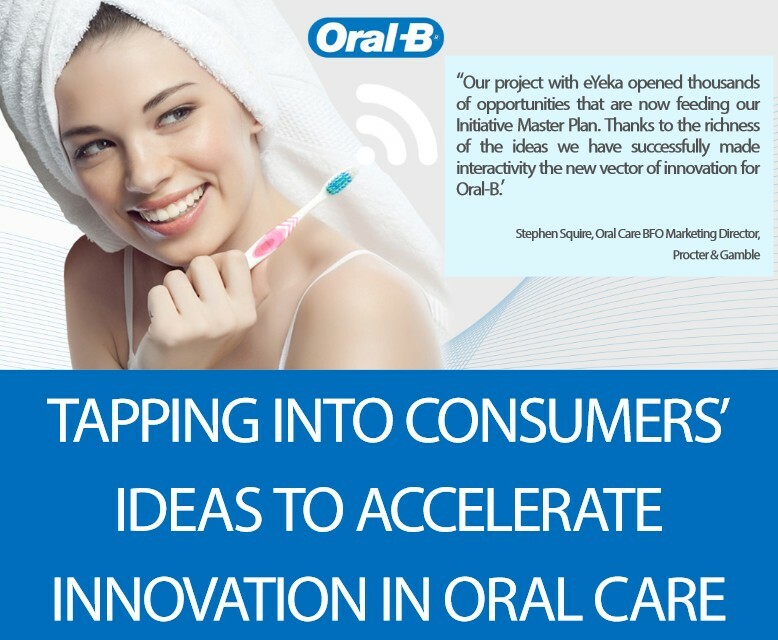 Brands want to create desire and they want to attract people to them. Being pessimistic about the future is not the best way to gain love from consumers, although it does create emotions. 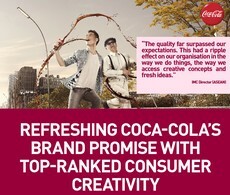 Indeed, most of the brands take the opposite direction and offer a vision of the society that is positive. Brands want to make people believe that thanks to their products, the world could become a better place. If there is one topic that arouses interest, it is gender equality. So many brands have addressed the issue recently! Let’s start with my favorite, from the Goldie Blox. In 2012, this company was created by an engineer who wanted to offer to girls’ toys that were not stupid and that could lead them to enjoy engineering. The commercial was a huge success because it was telling a new kind of speech about girls. Also, the toys have then met huge success in the US and are now distributed heavily. In 2014, Always wanted to champion girl’s confidence and created a very powerful ad that had an immediate success. Because during puberty, the confidence of girls drops dramatically, Always noticed that “like a girl” could become an insult. With their video, they wanted to make people change their minds and let girls know that they should not be influenced by labels and just be proud of themselves. The message is that being a girl is not an insult and the future is bright for confident girls. Following the trend, Barbie recently created a short film encouraging girls to imagine the future they want. What we understand from there is that talking about the future can be easily and cleverly done using kids. Because kids are the future! When people are scared they go back to the essential. They stay at home, with their families, they cook food, they play… or they watch videos that bring peace of mind. There is a TV channel in Norway that plays videos of a train go. It’s beautiful, it’s useless, yet it’s essential. We all need to unwind and to take breaks from the bad news TV brings every day. How do you think we can do this? And when TV, tablets and phones are off, when can we do with our peers or family to feel better? I believe there is a way to feel better. Making things. Crafting objects with your hands. Being active rather than passive. It is no accident that we call Millennials a generation of makers. They also define themselves as optimistic people. So… there’s a link here. Making things, being brave and looking at the future with hope. 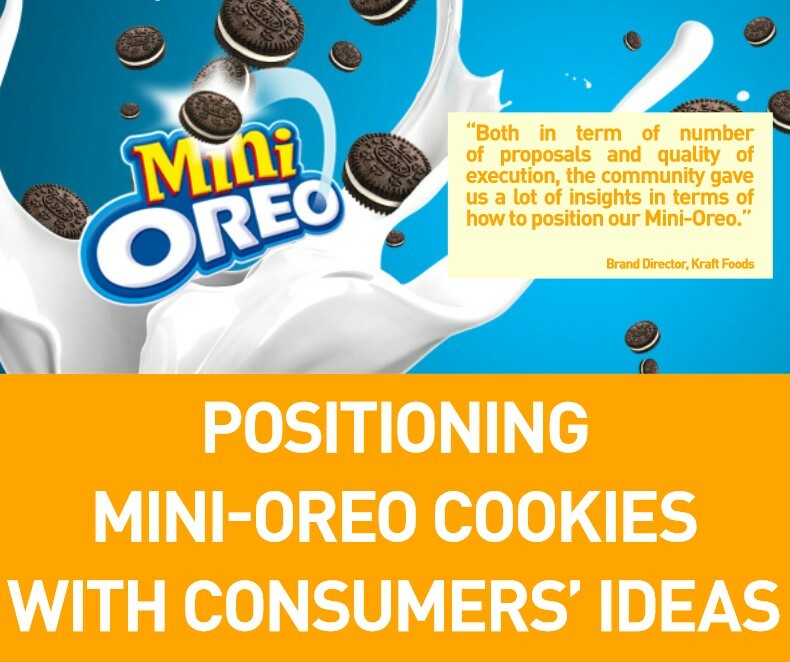 Companies and brands surely have a role to play. 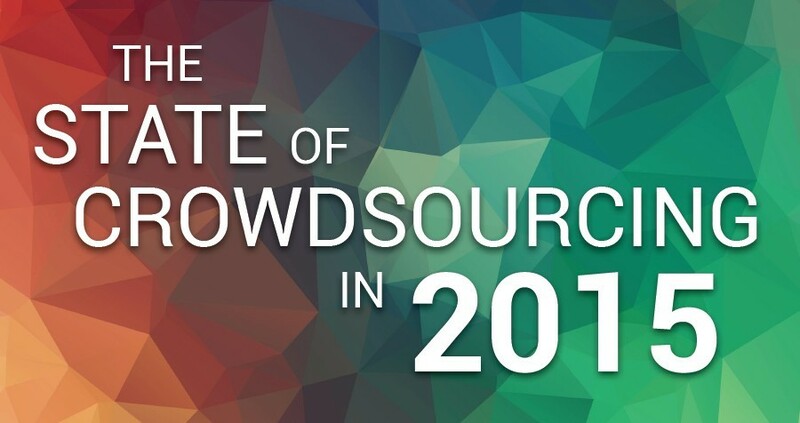 At eYeka, we try to build better brands, with the help of our community of creative minds. This is what we try to do everyday at eYeka: we build better brands, with the help of our community of creative minds. 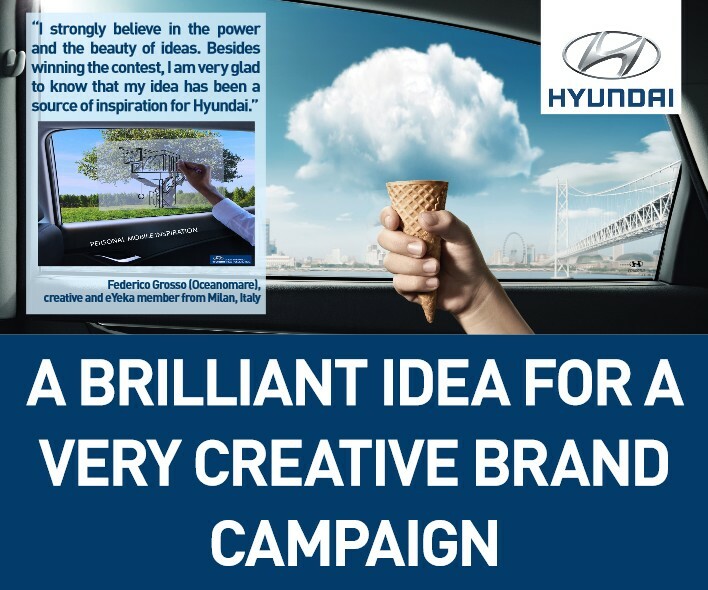 This entry was posted in Advertising and tagged advertising, brand content, creativity. Bookmark the permalink. 2 Responses to Are People Really Afraid of The Future? I think the multiple surprises are the cause of the fear. Even when we stop worrying about something, another thing comes up. We indeed don’t have command of what will happen next or at least most of us don’t feel like we do. 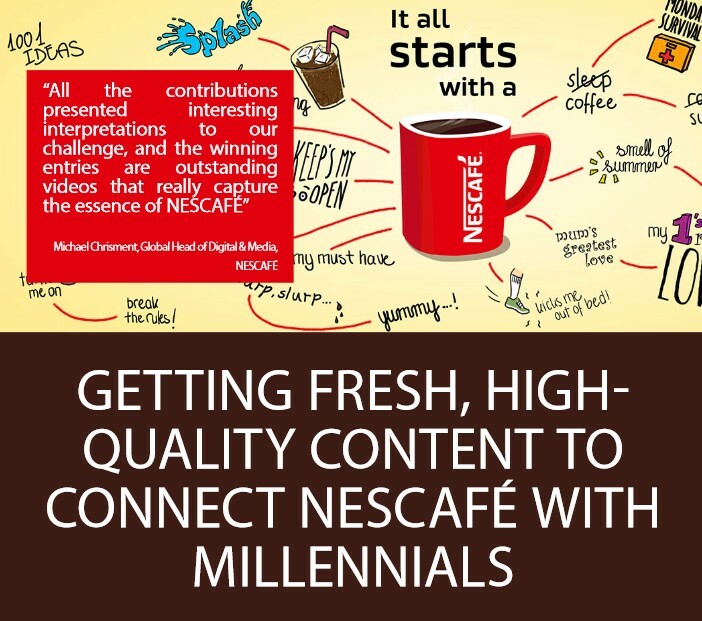 But I believe communication is the key and what better way to communicate than through big brands? We gotta tell them the ideas we have and force things to change. The dystopia scenario on fiction is becoming boring anyway so it’s a good moment to be creative and have an impact on real things.